(CBS) - Let's keep the theme of tricks going as we enter into the Halloween weekend. 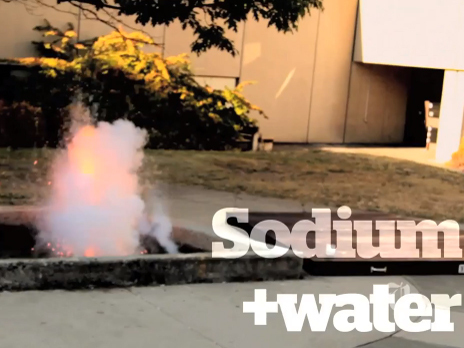 This time the tricks come with a bit of science spin in this great video entitled "Engineers blow stuff up with Science". Can you guess what's going to happen? Student engineers mix dangerous chemicals together for kicks during Fun With Science--an event part of Engineering Frosh 2011. Fun and educational! What more could you ask for from a video? And we all here at The Feed hope everyone has a great Halloween weekend!